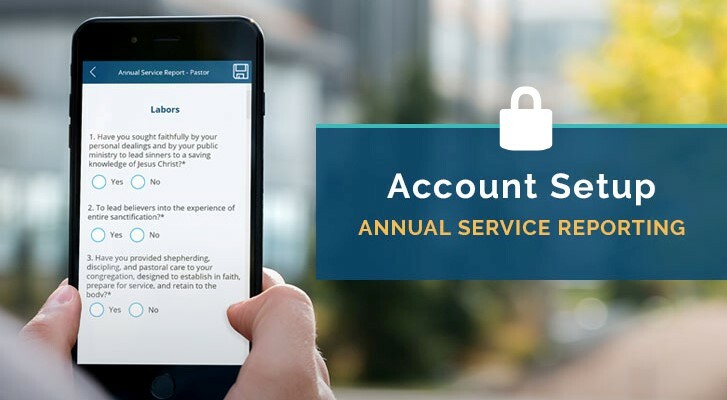 As you may have heard, The Wesleyan Church is updating our reporting systems, including the ability to complete your Annual Service Report (ASR) from a mobile device. I haven’t received my email! Help?! Why does the link I received only take me to an Office365 page? Do we need to buy Microsoft Office or Office365 to complete our ASR? Why can’t I fill out my ASR yet? Why haven’t I received the second email with the ASR link in it yet? I already have an office.com or Office365 account and it is not allowing me to log in with the new information. What do I do? Every credentialed person is required to complete an Annual Service Report (ASR) to be submitted to the District Board of Ministerial Development (DBMD) with a copy to the district superintendent by the date designated by the district conference (Discipline 1390:7-8; 1402). A copy will be automatically sent to the district superintendent when filled out online and on time. In order to retain your status in the Wesleyan Church, you must submit an Annual Service Report (ASR) by May 31. Several months back the Great Lakes Region launched a system for churches to report quarterly statistics. It has come to our attention that some Pastors and/or admins have not received these emails. These requests are coming from a website and may have gone into your junk mail folders or has not gotten past your sophisticated spam filters. Remember, you can ask for it to be sent to someone else on your team. If you have any questions, please email us at office@theglr.org.